That short story, Perfect Game, has had very impressive staying power, especially considering I don’t promote it at all. But, I’m getting ahead of myself. I want to share the ups and downs of the past year and the experiences I’ve had. This may get a bit lengthy — I’m forewarning you. May 24, 2013 — Perfect Game is published. It was originally intended to be an experiment before I published Dead Sleep just weeks later. It was one of those stories that gets written when you are stalling other projects and was written and edited in just three days’ time. I worked up my own cover, using a picture I took, and tinkering with it in Picasa. In just a week, it sold remarkably well, but I had a bevy of family and friends who wanted to show a little support on Facebook, so that’s what I chalk those initial numbers to. July 1, 2013 — Dead Sleep is published. As much as Perfect Game was just an experiment, this was a life-long ambition to finally write and publish my own novel. It was really a perfect storm of conditions that set this up: I finally had just one 40-hour-a-week job, I was reading and following Hugh Howey’s journey, and an idea came to me at just the right time. This first edition of Dead Sleep was riddled with problems, some of which I didn’t find out about for months. It really taught me a lot — to really be meticulous when it comes to your novel. Double, triple, quadruple check everything before you publish. I was thrilled to just have it for sale, but that didn’t mean I couldn’t learn from the experience. July 20, 2013 — The Veil is published. A Silo Saga story, I believe it was one of the first few Silo stories in Kindle Worlds that hadn’t already been published in the Kindle store. After drawing inspiration from Hugh Howey, I really wanted to pay homage to the author who showed me I could become a published author on my own terms. To this day, The Veil is my best-selling title on Kindle. September 15, 2013 — Ant Apocalypse is released. Over the summer, I saw a humorous tweet from fellow author Lyn Perry where he wondered about the effectiveness of ant spray that killed them for “up to 7 days,” or something like that. On a whim, I replied “ANT APOCALYPSE,” and he told me to write it. I know he was joking, but I took it as a personal challenge. Horror isn’t really my thing, so I tried to take it on in B-movie fashion and think it paid off. Recently, AA became my first audiobook when narrator Sean Lenhart recorded the book. I’ll tell you — the book really takes the creepiness to another level when you hear it voiced. October 29, 2013 — Behind The Veil is published in the Kindle Worlds store. A sequel to The Veil, it is told from the perspective of the villain from The Veil. I also set another small challenge for myself in the process. 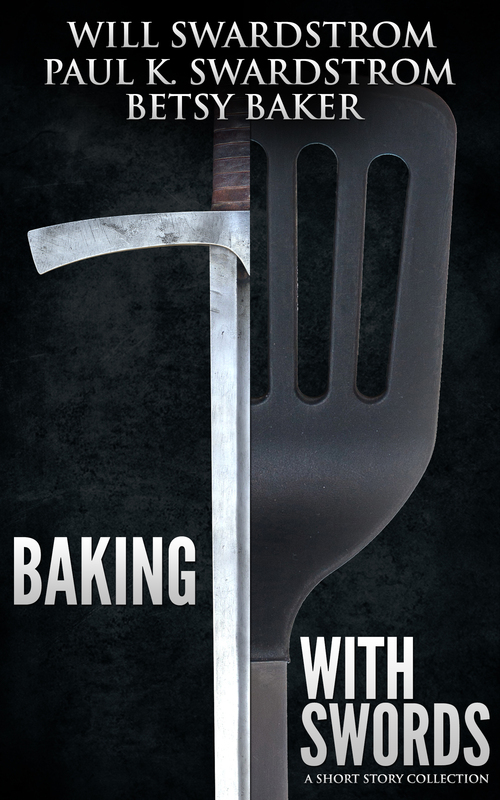 I knew the story I wanted to tell wasn’t really long, so I made it a goal to tell the story of BTV in less than 10,000 words (thereby making it 99 cents in the Kindle Worlds store). As of this blog posting, I still have plans to write the third and last part of the series, Beyond The Veil. It will be on my summer writing list, I promise. March 13, 2014 — Finally, WOOL Gathering is published. I actually got involved with the anthology a couple months after its inception, but it took a while before we got all our ducks in a row. 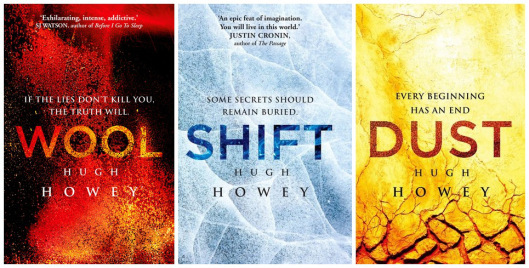 I wrote The Sheriff’s Son set in Hugh Howey’s Silo Universe back in August 2013, but it didn’t see the light of day for about seven months. But I am super-proud of this project, being next to stories from my fellow WOOL authors W.J. Davies, Ann Christy, Carol Davis, Lyn Perry, Fred Shernoff, Thomas Robins, Logan Thomas Snyder, and Dave Adams. A lot of great stuff in there and all the proceeds are going to the NaNoWriMo Young Author program. I guess I lied earlier — this is my best-selling work, but since so many other authors are involved, I don’t chalk it all up to me. I’ve also written my next short story, tentatively titled True Confessions of a Professional Sidekick, which may go in another anthology with my WOOL friends, and may not. We’ll just have to see. I had a lot of fun writing the story, but once again, it’ll be a few months before most people get a chance to read it. Then — Dead Search, the final installment in the adventures of Jack and Kristina. I’ve written the first chapter, approximately 3% of the book. Just 97% to go. This past year has been a trip. Writing and putting myself out there was scary. 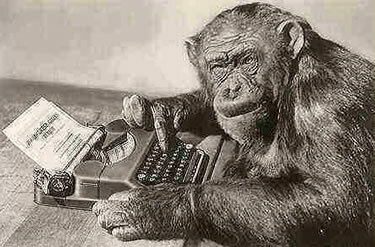 Hitting publish and waiting for people to read it is like hitting the top of a hill on a roller coaster. The seat is gone for a moment and you aren’t sure how bad or good it’s going to be. I’ve sold over 1,200 copies of my books on Kindle in the last year. I’ve sold about 100 copies of my two novels in paperback form as well. Just over 50 people have checked out my books through the Kindle Lending Library Program. I’ve also given away just over 6,500 copies of my books during the same time period. Over 1,000 copies of WOOL Gathering have been sold since its launch. That means that by now, over 9,000 copies of books that include words I actually wrote are out there on someone’s Kindle, Kindle app, or bookshelf. For that, I’m honored. Even more incredibly, my books have a 4.5 combined average with 113 total reviews on Amazon.com. Along the way I also started this blog back in August and have loved entertaining you and providing reviews of my favorite books as well. Thanks for everything and stay tuned — the best is yet to come! — The audiobook of Ant Apocalypse is done! My narrator, Sean Lenhart, did a fantastic job evoking the comedic horror of my short story. I really enjoyed listening to it (when I wasn’t utterly creeped out by the words I, myself, wrote). It is on sale at Amazon.com with a link for iTunes coming later. To celebrate, I’ve marked the Kindle version of the story down to FREE today only. That’s right — FREEEEEE!! ANTS!!! Then download the audiobook and enjoy it together! — My book Dead Sleep has been a Countdown Deal this week. Still just 99 cents through the weekend for U.S. Amazon customers. (I’ll take care of the UK readers later — I promise!) If you never picked this up, now would be a great time. A total of 19 reviews on Amazon and 16 of those are 5-star. — The next book in the trilogy, Dead Sight, is now a Countdown Deal, beginning today! You can pick up both full-length novels for less than 2 bucks for a couple days! I wrote the bulk of this book in November, 2013 (NaNoWriMo) and it has 10 reviews — all with a five-star rating. People are loving it and you can get it super-cheap right now! — I’m done bragging on myself, but I can’t leave this without mentioning my buddy Logan Thomas Snyder also has a Countdown Deal of his WOOL series The Disappeared right now for just 99 cents. Great stuff. I got my shipment of paperback copies of Dead Sleep from CreateSpace today. I unboxing them, showing off the amazing cover and dedication to my daughter. WOOL Gathering is now available for Kindle. For less than $3 (that will go towards charity), you get nine fantastic silo stories from around the world. Hugh Howey wrote an introduction and story after story takes you inside the twists and turns of the silo. From the beginnings before SHIFT to the cleanings detailed in WOOL and even hints at the events of DUST, this collection has something for everyone. My original short story, “The Sheriff’s Son,” is included in this anthology. Click on the cover and you can get a copy for yourself. What does WOOL mean to you? 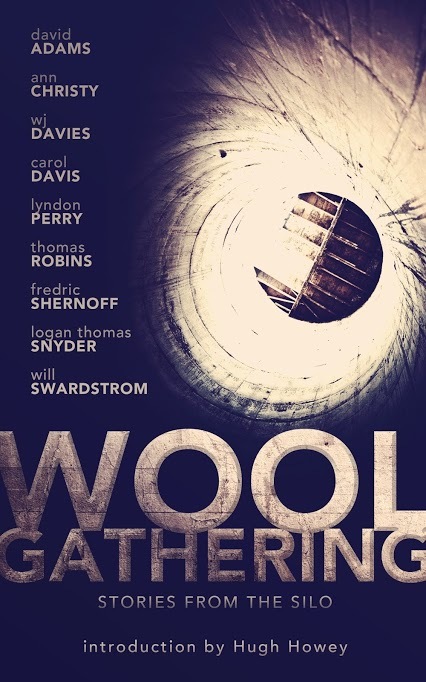 We are really close to the release of WOOL GATHERING, an anthology of WOOL-related stories from nine authors who have each explored Hugh Howey’s WOOL Universe on their own. I’ve gotta say: I’m ridiculously honored to be included in a collection with these authors. Some of the best and brightest from the WOOL authors and I get to be a part of it. With the release so close, I wanted to ask each of them just ONE question. I’ve collected the responses here. I find them all fascinating and intriguing. I didn’t place any restrictions on their answers and what I got frankly amazed me. I count myself privileged to be among this group of writers for this short story collection. The question: What does WOOL mean to you? Wool means having a breakdown every time I find myself liking a character in that universe, knowing that they live in the Woolniverse and therefore something terrible is bound to happen to them. And that’s the core of good writing. If you can make your reader unable to stop turning the page because they want to make sure that their favourite character’s going to be okay, even if deep down they know they’re almost certainly screwed, you are doing it exactly right. For me, WOOL is the world writ small. Everything in it is intensified and magnified but it represents the choices we make in real life, right now. The ones who crave power, the ones who want to believe in something no one else believes in, the ones who take great risks to make things right are all in there. And the ones who would destroy anything and everything to achieve their own singular goals are in there, too. To me that short little book back in 2011 was an interesting take on belief and doubt and the harsh realities behind the curtains of our lives. What it became as it was expanded and refined was the path of a world with powerful lessons in it about who and what we can choose to be. WOOL represents a milestone in the history of publishing. It showed that someone could become a success and publish a successful story without going through all the traditional gatekeepers. It inspired me to believe that I could maybe do it too and is the reason I started writing and publishing. It also happens to be a great story! WOOL sparked a reawakening of the short form in my life. Amazon relentlessly promoted WOOL to me as something I would enjoy. I dismissed it out of hand for several months before giving it a read. I was reminded of my long-past high school literature classes when we were assigned mountains of short story reading. The freedom of spending an hour or two reading a short story and then moving on to a completely different story was liberating in and of itself. However, what WOOL reminded me of the most was that, in short form, stories did not have to have satisfying endings with all loose ends explained. Those qualities spark my imagination and engage me as a reader long after I have finished a story. To me, WOOL is a repudiation of the notion that indie authors are somehow a lesser or sub-species of writer. Not that long ago I thought more or less along the same lines. I only read authors who published through traditional avenues, the kind whose works I could find on bookstore or library shelves. Then, in January 2013, I caved and bought my Kindle. The first book I downloaded to it? WOOL, of course. I couldn’t remember the last time I had been so utterly captivated by a story, and of course I certainly couldn’t ignore the fact that Hugh had done it his way, without the aid (or hindrance) of the mainstream publishing establishment. It was an incredibly eye-opening experience, especially as someone who to that point had mostly been writing to an audience of about half a dozen close family and friends with the patience and good cheer to wade through pages and pages of stories on my poorly designed website. That’s when I knew I had to reevaluate not just what I was doing, but the way I thought about indie authors and publishing all together. Since then, I’ve read some absolutely amazing stories I never would have been exposed to had I not taken a chance on an indie phenom. Even better, I now consider some of those very authors to be good friends and among my favorite people. (Oh, and of course, I’m an indie author now, too; way to bury the lead, I know). That’s what WOOL means to me. What is WOOL to me? It was something small. One among many. Nothing you’d pay particular attention to, if you were just passing by. But it held within it a myriad of possibilities that began to capture the interest and imagination of first one person, then another, and another, and another. It was something small that grew exponentially. Like each of us. Small and insignificant (in the grand scheme of things) on the day we’re born, but capable of growing into something wonderful — something that will rock the world back on its heels. It’s an example of possibilities, and growth, and success. WOOL has meaning for me on multiple levels. As a story, it speaks to me of the human condition and our lack of clarity as to what is actual and what is perceived. Great SF engages and wrestles with such universal themes and WOOL is a wonderful example of how literature asks questions and prompts profound pondering. As a publishing phenomenon, it’s a symbol of the new age of publishing. A single story gains grass roots support sparking the author to write more, engage the audience more, and create – in symbiotic fashion – a story that is both true to the writer and accommodating of the fans. It’s fan interaction at its best. And finally, WOOL is a reflection of Hugh Howey himself and his open source philosophy and crowd-sourcing trust. The fact that the world of WOOL is an open playground for writers to dive into begets not only great new stories but ultimately promotes and elevates the original in ways that would not be possible if it weren’t for the author’s vision of entrusting the story into the hands of fans. In all these ways, WOOL plays a significant role in my journey as a writer and I’m grateful to be a part of this culturally pivotal phenomena. Besides being one of the best Science Fiction tales I’ve read in the last decade, WOOL represents the indie author’s dream come true. The idea is that a story can be so powerful in itself, that it doesn’t need extensive marketing campaigns or the might of a big publisher for it to find an audience. If a story is good enough, resonates enough with readers, is written well enough, a kind of magic happens where the book takes off on its own and insists that it be widely read. WOOL is the perfect example of this phenomenon, and its success gives hope to so many indie writers. Quality stories will always find a way to rise to the top. Of course, I had the ability to see all these answers before my response was full formulated. With that in mind, I can definitely say their answers informed mine. My answer wouldn’t be complete without them. What WOOL means to me is that I’m not alone. It showed me that someone that was my age could launch a writing career. It showed me that authors are not just grumpy old men who write in a drafty attic space. I discovered that there were others out there, just like me. With the beginnings of fanfic in the WOOL universe, I found a community. I discovered that authors weren’t just self-interested, but that they cared – about writing and the story, yes, but also about each other and seeing others do well. WOOL means community. The gift we were given by Hugh has tied us together and made us stronger. As a single writer, I can only do so much, but with the amazing fellowship of the other writers I’ve met and discovered through WOOL, I can get better and do more than I ever thought possible. WOOL Gathering will be released digitally and in paperback in the next couple weeks. Stay tuned for exact release dates.